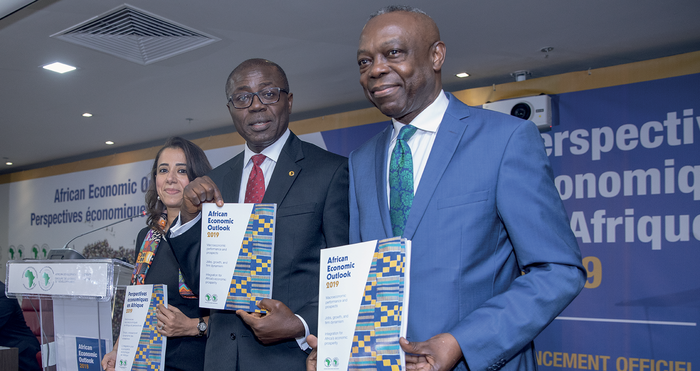 ABIDJAN, Ivory Coast – The African Development Bank will on Friday, 8 February 2019 present the 2019 edition of its flagship African Economic Outlook (AEO) report, on the sidelines of the 32nd Ordinary Session of the Assembly of Heads of State and Government of the African Union. The African Development Bank Group is Africa’s premier development finance institution. It comprises three distinct entities: the African Development Bank (AfDB), the African Development Fund (ADF) and the Nigeria Trust Fund (NTF). On the ground in 31 African countries with an external office in Japan, the AfDB contributes to the economic development and the social progress of its 54 regional member states.